Just a quick note to say I hope all of you had a wonderful Christmas! It was so much fun having our whole family here, and Ted and I will take the last one to leave – Blake – to the airport Monday morning for an early flight out of Daytona Beach. The house will sure seem empty after all the laughter we’ve shared these last few days. 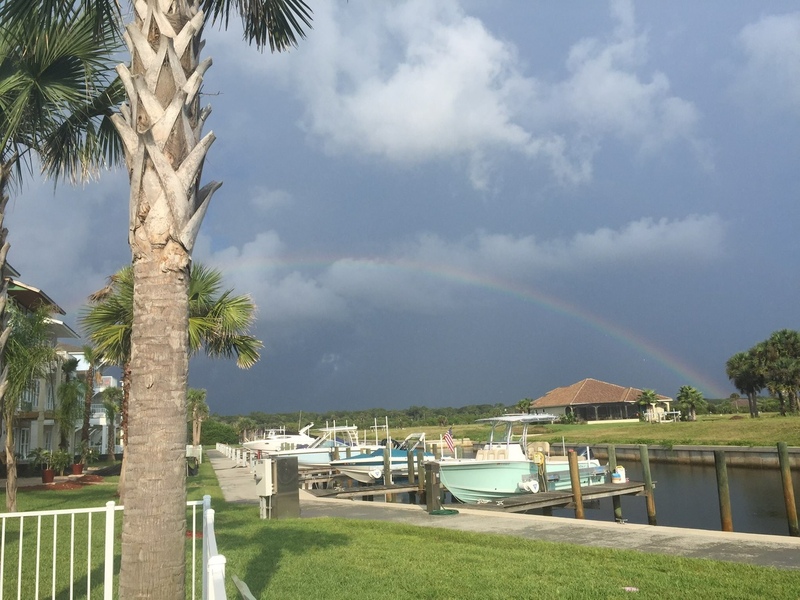 I’m giving myself another week’s “vacation” from blogging (when you’re a blogger you get to declare vacations whenever you like – I love that)! But I’ll be back next Sunday night – January 3, 2016. As usual, the beginning of a new year will bring some changes in the blog, so stay tuned for that! Have a wonderful, fun, and safe New Year’s Eve. Our great neighbors, Todd and Brandi, are having a party that night, so we’ll be celebrating right here in Sunset Inlet. Love it when you can just walk home from a party! See you next Sunday with lots of news from . . . . everywhere! Trying out a Christmas gift – a selfie stick! I obviously didn’t get the “sunglasses required” memo. Just a note to let you know we are safely back in Florida, unpacked, and settling in. We had a good trip to Florida with no problems of any kind. Thank you so much for every safe travel prayer that you lifted. We felt them all the way home. I’m going to take a little vacation from blogging for the month of October. There is so much to do this month. I’ve got to have some health concerns looked into (neck issues), start back volunteering, meet new neighbors, and just get all nestled back into our Florida home for the winter. I’ll be back the first part of November, with news from both Florida AND Mackinac Island. Speaking of Mackinac . 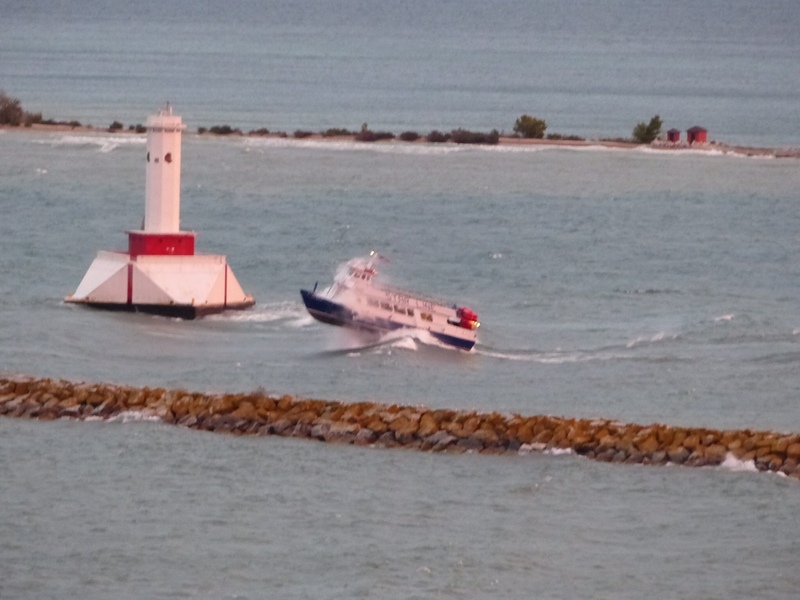 . .
We sure hate that we’re missing October on Mackinac – my favorite month on the island. I know the trees are turning all shades of red, yellow, and brown, and oh my gosh I love walking through the woods there in the fall. But – good news! I’m pretty sure next summer we will be on Mackinac for three whole months, and that is going to be awesome!! When Jill left Mackinac a few days before we did, she was going home to join her mom and her brothers in caring for her dad. Ken had been diagnosed with cancer a few weeks earlier; but treatment was being planned, and Jill thought she’d be back on the island in a few days. Sadly, Jill’s dad took a turn for the worse and passed away on Friday afternoon. His services will be Tuesday morning in Lansing. In October of 2012, Jill and I left the island to go meet Lowell and Faye Greene for the first time. We spent the night with Jill’s parents, Ken and Joanne, at their beautiful home in Lansing, before leaving the next morning for our trip to Lowell’s. From the moment I walked into their living room, the warmth and love of this gracious couple embraced me. Sitting down at the breakfast table with them for coffee the next morning was like having a chat with my own mom and dad. They accepted me into their hearts and home – and made me feel like family. 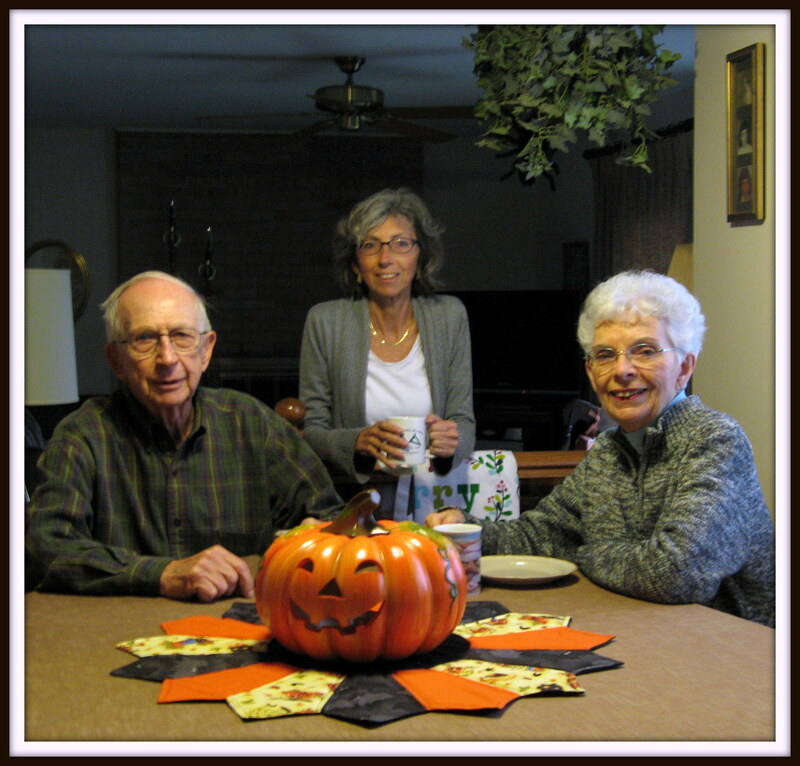 Jill and her parents in October of 2012. I know Jill, Joanne, and Jill’s two brothers, Mark and Eric, would appreciate your prayers in the coming days. See you back here in November – and God bless.